TSB has gone further than any bank by promising to refund all innocent customers who’ve fallen victim to fraud – even if they were tricked into handing over personal details or have sent money directly to a criminal. From 14 April onwards, the bank’s 5.2 million customers will be protected by a ‘fraud refund guarantee’ which will see the bank reimbursing genuine victims of fraud. The scheme will not be retrospective. This comes just six weeks before a new voluntary code is introduced to reimburse victims of bank transfer fraud, where a customer has authorised a payment to a scammer – which cost victims more than £350m last year. Which? explains how TSB’s fraud guarantee works and how other banks will treat you if you’re a victim of fraud. How big an issue is banking fraud? According to figures released by UK Finance last month, more than £1.2bn was stolen from bank accounts in 2018. A further £345m was stolen via ‘authorised push payment’ fraud – where customers are tricked into sending money to a scammer. And because victims have sent the payment, banks generally do not reimburse them. Why is TSB’s fraud guarantee such a big deal? We’ve heard from countless victims of fraud whose banks have refused to refund them, even though they have been caught out by a sophisticated scam. If they have handed over their details to a fraudster, they are often deemed to have been grossly negligent. And if they’ve sent money to a fraudster, there has been no legal protection for them to get their money back. 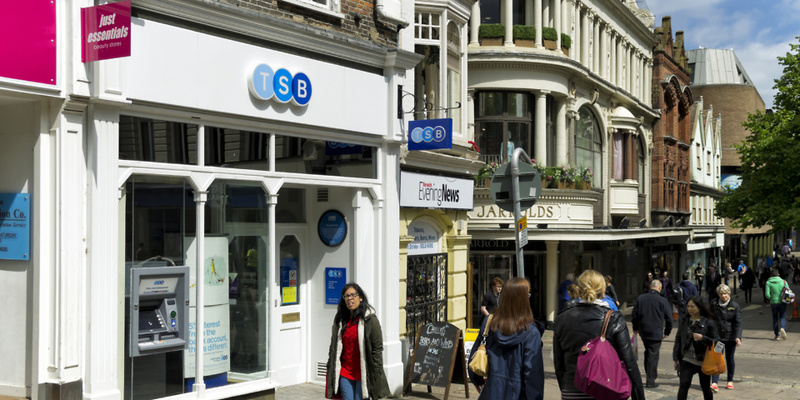 TSB – which saw its own customers exposed to fraud after an IT meltdown knocked its banking systems out for weeks last year – has decided that this is unjust, and will refund all innocent victims of fraud, whether they handed over their details or sent money to a fraudster. Richard Meddings, TSB’s executive chairman, said: ‘The vast majority of fraud claims across UK banking are from innocent victims of fraud, who have been targeted by criminals and organised gangs. How does TSB’s fraud guarantee work? Customers will need to contact the bank to report fraud by calling the number on the back of their card or 0800 096 8669. The bank will still investigate the fraud claim, including what happened and how it happened so customers can understand how they fell victim and ensure they’re protected for future fraud. TSB will not repay losses due to fraud committed by an individual on their own account. Customers that abuse the guarantee, for example by repeatedly ignoring account safety advice, may be excluded from future refunds. How do other banks treat victims of fraud? Almost three years ago, Which? launched a super-complaint to the Payment Systems Regulator (PSR), urging it to investigate the rise of bank transfer fraud. We have subsequently worked with the banking industry to develop a new voluntary code of conduct, designed to better protect customers from fraudsters, and reimburse them if they were not to blame. Barclays, Lloyds Banking Group, HSBC, Metro Bank, Royal Bank of Scotland, Santander and Nationwide have all committed to the code so far. What else is being done to cut down banking fraud? While the new measures announced in the code should help victims get their money back and reduce some instances of the fraud taking place, there’s more to be done to stop these scams from happening. Banks are being required to introduce new technology called ‘confirmation of payee’, which matches the name of the recipient of funds to their account details, to make sure that the recipient of any payment is exactly who a customer intends them to be. Currently, when setting up payee details the sort code and account number are checked to ensure that they are correct and can be sent to a valid bank account. While this helps to identify whether or not the payment will be sent to a viable account, it doesn’t confirm any details about the account holder themselves. This is where Confirmation of Payee steps in and adds a new step to verify that the bank details and account holder of the person receiving a payment are exactly who the person making a transfer expects them to be. Banks were expected to have this technology in place by July 2019. However, a spokesman for UK Finance, the trade body that represents the banks, recently told the Treasury Select Committee this could be delayed until 2020.